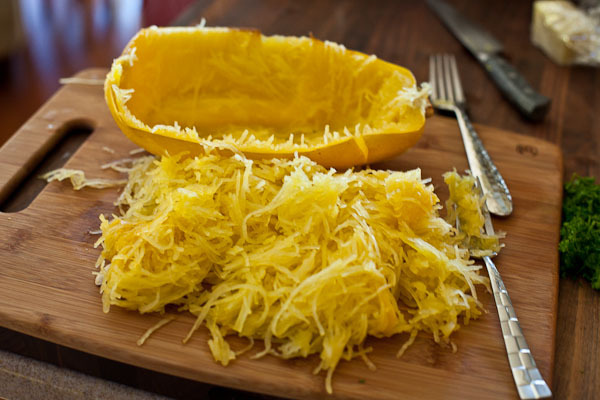 Spaghetti squash! Ever heard of it? 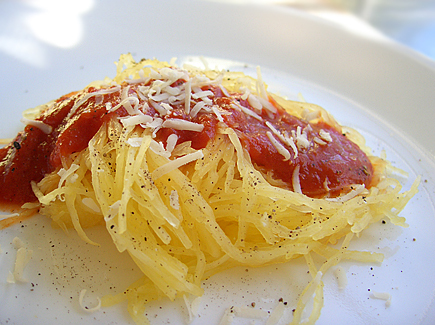 If not then you don’t know what you are missing… Never pass up spaghetti on a diet again! 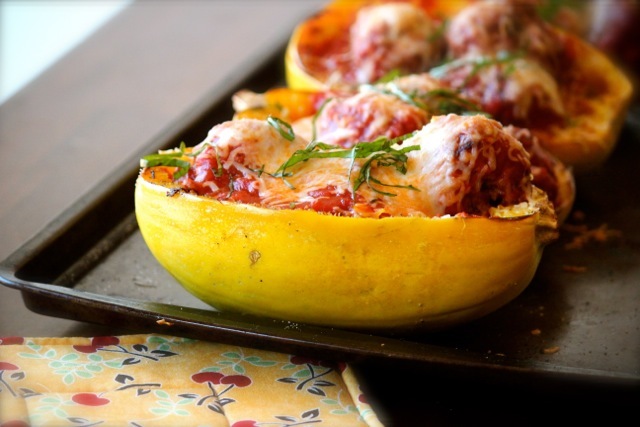 This crazy vegetable can be easily cooked in the oven and scraped out to be eaten. Weird thing about it? It looks exactly like spaghetti! You can use it in the same way too! Eat plain with a little salt or go all out and make healthy parmesan spaghetti, turkey meatballs and spaghetti sauce, tomato basil, any spices your want or healthy Alfredo sauce. So many choices! It’s cheap, super versatile and quick! It’s also extremely good for you, low-carb, low-fat, low-sugar, & High in vitamin C! Simple Low-carb spaghetti dinner 🙂 Enjoy!